Can the state, or its instrumentality as an employer, discriminate against a woman employee based on compelling family care giving responsibility (read giving care to her child)? 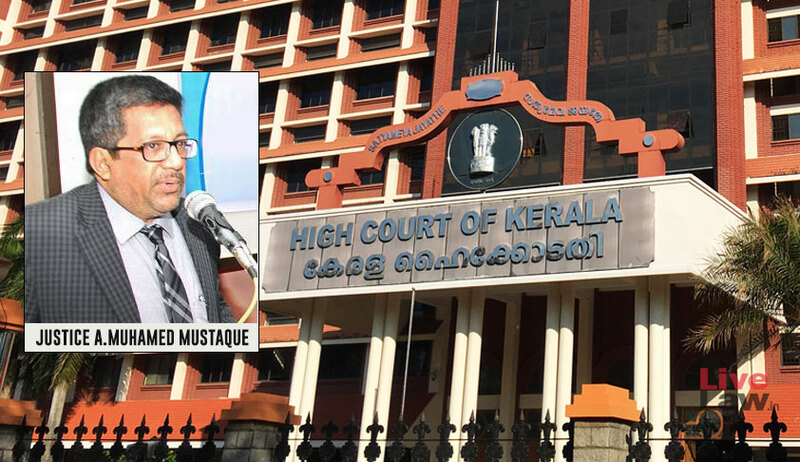 The Kerala High Court has decided in the negative while recognising the fundamental right of a woman to dignity of a mother and fairness at workplace which cannot remain insensitive to the love of a mother for her child. “No service Regulations can stand in the way of a woman for claiming protection of her fundamental right of dignity as a mother,” Justice A Muhamed Mustaque said. The court also emphasised that the government should come up with a legislation to protect employees from discrimination at workplace due to their family responsibilities. The court said so while upholding the plea of a woman against her termination from service on account of her long absence from service as she needed to look after her child suffering from mild-autism. A copy of the judgment has been directed to be forwarded to the Law Commission of India, Department of Labour and Social Welfare of the State and the Union and also to the Law Department of the Union and the State. In the instant case, the court was faced with the petition of a “distressed mother, a working woman who was confronted with the complexity of working environment designed by an architecture without adhering to rules of gender equality; often overwhelmingly to suit men”. Petitioner KT Mini was an assistant with the Life Insurance Corporation of with 17 years of unblemished and uninterrupted service. She had joined LIC as Assistant in 1989 and was working in Calicut. She gave birth to her second child in 2001. The child was afflicted with chicken pox after two years. Later, the child developed speech impairment and abnormal behaviour. Doctors diagnosed her condition as mild autism. Mini, at that time, was working in Calicut. Mini took her daughter to Chennai sometime in the year 2007 for better treatment and applied for transfer to Chennai and proceeded on leave. Her husband, employed with a bank, got posted in Bahrain. Mini also joined him and found looking after her child easier in the company of her spouse. LIC, ignoring her request for extension of leave or transfer to Bahrain, initiated disciplinary action against her and removed her from service. Mini then moved the court. “Though, there is no protective legislation to protect a working woman against compelling family responsibility discrimination, the Constitutional court cannot ignore involvement of fundamental rights as against the State. The question of legality of disciplinary proceedings should not be assessed in the narrow compass of rules or regulations of the Corporation, but rather within the framework of fundamental rights qua principles relating to family responsibility developed through International Human Rights Law embedded into our constitutional principles,” the court said. “Foreign religions like Islam and Christianity hold “mother” in the esteem position in the society. The traditions followed in Hindu, Muslim, Christian etc. communities through practices allude how Indian society value a person-hood of the woman as a mother. This case is a pointer how promise of dignity and equality under the Constitution will remain as a distant reality if there is no effective interference,” it said. The court said motherhood is not an excuse, but a right which has to be protected by an employer in certain circumstances. The court held motherhood is an integral part of dignity of a woman and encompasses status, dignity and self-respect as elements. Article 21 protects life and personal liberty. It can be deprived only in accordance with the procedure established by law. “Motherhood is an option. In this Universe, life of everyone is an option of his parents, but that does not mean that motherhood has to be subjugated to any other interest. Right to procreation is intrinsically associated with right to live. It is a basic right of man. Thus, choice of option does not change character of such right as fundamental right. In general, employer has no legal obligation to have concern over employee's private affairs. However, this has an exception, if those private affairs are interest protected as fundamental rights,” it said. “Person-hood of a woman as mother is her acclaim of individuality essentially valued as liberty of her life. This was so designed by culture, tradition and civilisation. Mother's role in taking care of the child has been considered as an honour; she enjoyed such status because of her position in respect of the child. If on any reason she could not attend her workplace due to her duties towards child (compelling circumstances), the employer has to protect her person-hood as “mother”. If not that, it will be an affront to her status and dignity,” it said. “In patriarchy, woman belonged to kitchen. It needs to be realised that girls do have a dream and woman do have a vision, and motherhood cannot be seen as a burden on them to pursue such dreams and visions. The court while considering amplitude and meaning of life under Article 21 of the Constitution has to embrace its full meaning in the societal background on which the court is called upon to decide such disputes. Thus, a woman employee cannot be thrown out from service for remaining absent on account of taking care of child, if such taking care is indispensable for her,” it held. It is made clear that it is only in compelling circumstances, such right can be claimed and protected. The court referred to Article 11 of the Convention on the Elimination of All Forms of Discrimination against Women (CEDAW), which contemplates elimination of discrimination against women in employment. “Convention on rights of child, cast an obligation on the State to respect the responsibility, rights and duties of parents. ICESCR Convention also obligates the State to take special measures for protection of children without any discrimination. UDHR also mandates that motherhood and child are entitled for special care,” said the court, while holding that a woman as a mother, in fact, discharges those obligations cast on her, which the State had been mandated to protect under the International conventions and laws. In this case, the court held that Mini never wanted to be absent from employment and was faced with a situation where she had to give all her care to the child in precedence to any other affairs. “That priority cannot be a reason for initiating disciplinary proceedings against her. If there is any causal connection between her absence and child care, the Corporation is bound to inquire and to make necessary adjustments for her. The Corporation could have considered her request to transfer her to any other place where they can accommodate her to continue with treatment of her child. The Corporation remained insensitive to the cry and love of a mother for her child, who suffered mild autism. Perhaps, it is for the reason that the Corporation has no regulation in its place to consider such request,” it said. Noting that the Central Government incorporated a rule in the Central Central Civil Services (Leave) Rules, 1972, to grant leave to a woman government servant as 'child care leave' for a maximum period of two years for taking care of upto two children, the court said, “It shows that the State is sensitive about the issue of child care”. “…the disciplinary proceedings were initiated against the petitioner as the Corporation (LIC) had no measures to deal with the situation encountered by the petitioner. Incapacity of the organisation to deal with woes of a woman employee cannot be capitalised to penalise her,” said the court while directing the LIC to reinstate her forthwith.